From all-black ensembles on the red carpet to a woman (actress Joanna Lumley) taking over as host for the first time in 12 years, the spirit of the Time’s Up movement was alive at the 2018 BAFTA Awards. 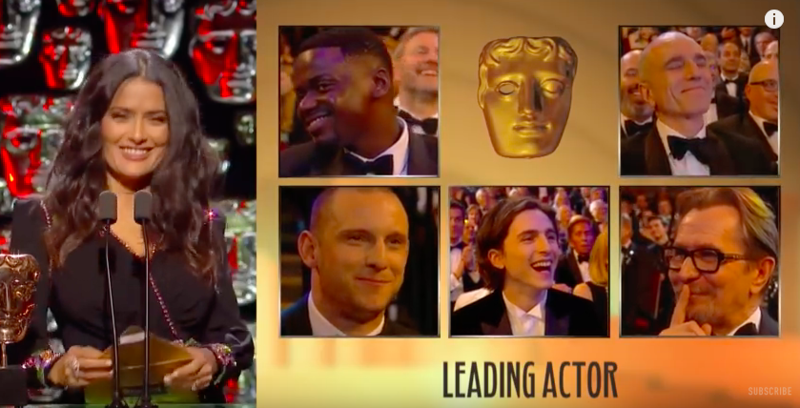 However, the moment that had us literally screaming YAS KWEEN was Salma Hayek’s politely savage takedown of the Best Actor category. Hayek’s stunt was learned at the Natalie “here are the all-male nominees” Portman School for Awards Show Clapbacks™, and it went something like this. ZING. YAS. SLAY. DROPS MIC. Yes, she trolled the hell out of that category, guys. Look at Timothée Chalamet loving the McDormand joke. Hayek: 1, Best Actor category: 0. Until we meet again at the 2018 Oscars.